The table below demonstrates some of the most important features an ERP solution can offer, divided into ten categories: Sales, Customer Relationship Management, Accounting & Finance, Marketing, Warehouse Management, Manufacturing, Purchasing, Services & Projects, Human Resources and Usability & Productivity. These categories encompass almost everything an SME might need to manage, develop, and evolve its business operations. 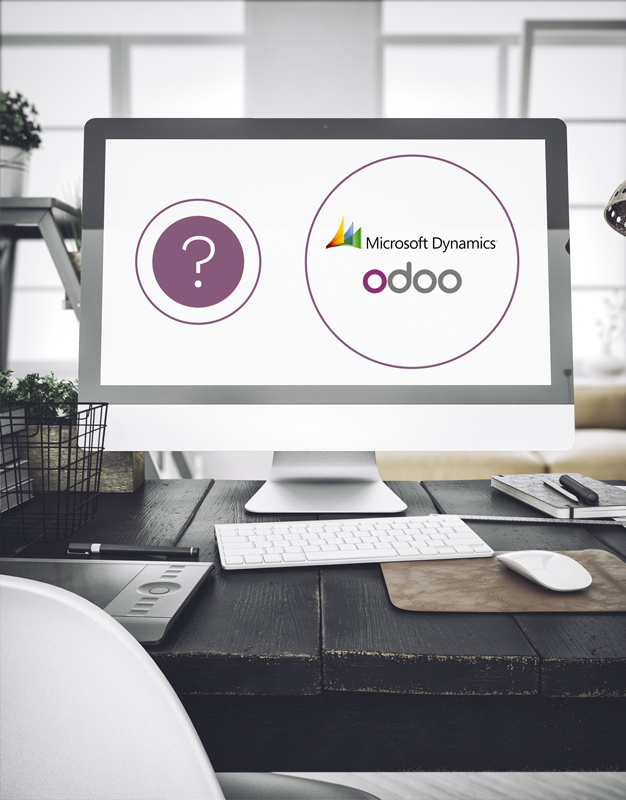 The comparison will demonstrate the availability of these features with detailed analysis for Odoo vs. MS Dynamics NAV. Microsoft offers Microsoft Dynamics NAV (formerly Navision) as part of the Microsoft Dynamics family of ERP software. The software can be hosted in the Microsoft Azure Cloud (for an additional fee). Two licenses are available: a perpetual license and a subscription license to an external service provider. Microsoft Dynamics NAV 2016 is split into two versions: the Starter Pack, which offers basic functions in finance, professional services, and distribution; and the Extended Pack, which adds manufacturing and warehouse management features. The purchase of the Started Pack is required in order to get the Extended Pack. We’ve chosen to use the Extended Pack in Microsoft Dynamics NAV 2016 for the purposes of this comparison. For Microsoft Dynamics, the implementation service is usually provided by a local partner. For Odoo Online, implementations are usually provided directly by the vendor. 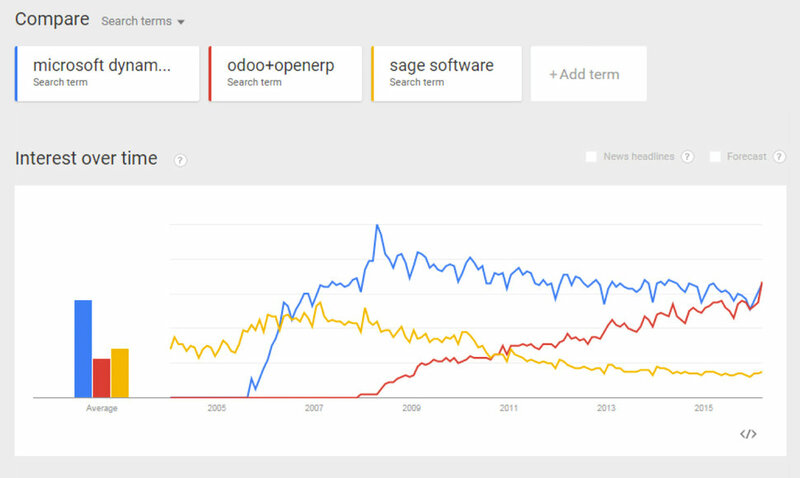 Odoo Enterprise implementations (the on-premise offer of Odoo) are typically performed by a local partner. The implementation cost of Dynamics is usually case by case and prices differ widely from one project to another. Odoo however has packaged implementation offers (between $2,100 and $5,500 for a standard implementation). Most of the offers through MS Dynamics cover one year. Odoo’s default offers are monthly, without commitment, and typically includes a 16% discount with a yearly contract (paying for 10 months instead of 12).